Berkeley, CA, May 23, 2018 - The Graduate Theological Union (GTU) of Berkeley, California, is pleased to announce the selection of Rabbi Daniel L. Lehmann as the eighth president in the school’s fifty-six-year history. 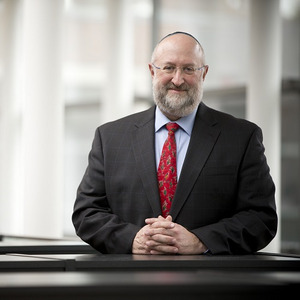 Rabbi Lehmann comes to the GTU from Hebrew College in Newton, Massachusetts, where he recently completed his tenure as president and professor of pluralism and Jewish education. Lehmann also served as board chair of the Boston Theological Institute, where he successfully led Hebrew College to become the first non-Christian institution to join that theological consortium. During his years as an academic and religious leader in Boston, Rabbi Lehmann raised tens of millions of dollars for operational and capital needs and worked closely with trustees to expand a philanthropic base of support. One of his signature accomplishments as president of Hebrew College was the establishment of the Miller Center for Interreligious Learning & Leadership, which was made possible by a generous seven-figure gift from a trustee. Lehmann's experience with recruitment, board development and collaboration, strategic planning, community relations, digital marketing, on-line expansion, and team-building position him well for the challenge of leading the GTU into the future. Rabbi Lehmann will begin his term as president of the Graduate Theological Union on August 1, 2018, succeeding Dr. Riess Potterveld, who is retiring after five years as president. Baruch ha-ba, welcome to the GTU, Rabbi Daniel Lehmann! About the Graduate Theological Union: The Graduate Theological Union is a unique interreligious consortium of more than twenty member schools, centers, and institutes, with a world-class library. Founded in 1962, the GTU is the most comprehensive center for the graduate study of religion in North America, bringing together scholars of the world’s great religions and wisdom traditions to grow in knowledge, thrive in spirit, and unite in solutions.